BAD HOUSEMATES NEED NOT APPLY If you: abuse alcohol, drugs, other substances; are not reliable with rent; cannot clean up after yourself; or cannot live peacefully with other people, this house is not for you. The house was built in 1971 and has polished wooden floorboards throughout the main living areas. It was renovated in late 2016 with fresh paint, new kitchen with a dishwasher and bathroom upgrade. Electrical fittings throughout have been updated. Since being renovated, the house has been used as a sharehouse, so there is some wear and tear throughout. There is one bedroom available. The bathroom is shared and basic with a shower and vanity only. The toilet has a vanity. 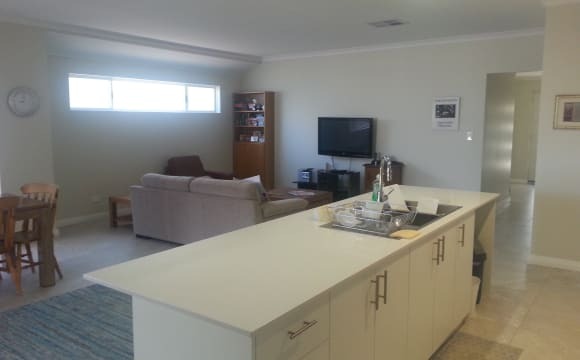 There is a large room added to the back of house which would be an ideal TV/lounge room or games room. Basic kitchen items are provided including a microwave, toaster, kettle, cutlery, crockery, pots, pans and cooking utensils. Housemates would be required to supply their own items beyond the basic items provided. A washing machine for use by all housemates is provided, but your own fridge is required. If you are desperately in need of a fridge, I can gift you one of two fridges at the house, both of which require repairs (at your cost). One has been assessed and requires re-gassing. The other was working, but the freezer stopped freezing. Some very basic furniture is offered, such as a lounge, old TV (requires a set top box), dining table, outdoor setting, outdoor lounges, desk and single bed base. There is only one carport which can fit cars bumper to bumper, not side by side. For anyone without their own vehicle, Seaforth train station is only 3 houses away. The rear of the house is paved and would be great for spending time outside under the shade of palm trees. There is a greenhouse with sprinklers, so anyone with an interest in gardening or growing their own fruit or vegetables would find this house ideal. The gardens have been well maintained. For anyone requiring storage for personal belongings, there is a large shed at the back of the house that can be used for storage. No housemates have a key to access the shed, so this is secure. Inspections welcome. 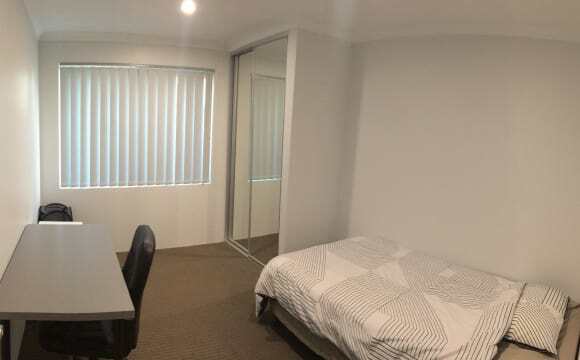 Persons interested in this house will be required to complete an application form and provide previous accommodation details, personal references and details about work, study or Centrelink. Regard to occupants already in the house will also be considered. Bond and Rent: Bond: $420 (three weeks rent) Rent: $120 per week Bills: $20 per week contribution to bills to cover electricity, gas, internet and water Total: $140 per week Contribution towards bills is based on the actual cost of bills - the more you use, the more you pay. Able to accept Centrepay as a method of payment. Able to accept Housing Authority bond payments. I am happy to consider pets. No smoking inside the house. Happy to take other queries. If you have a car there is a remote-controlled secure garage for parking and the house has a security alarm, solar power, LED lighting and NBN internet. You would have your own bathroom and toilet and can use all of the house amenities. There is a nice park opposite the house and I have good neighbours. 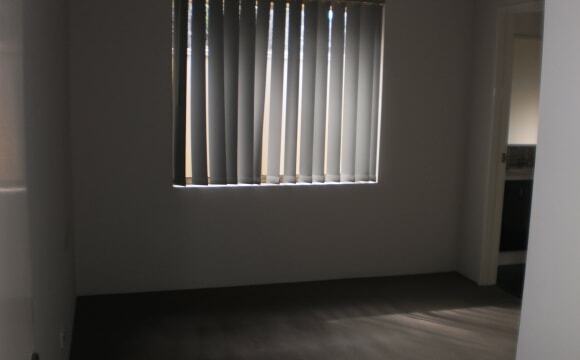 The bedroom is double sized with large double sized built in robes and is unfurnished. 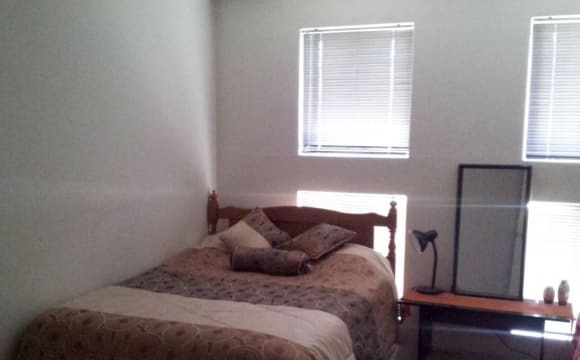 The other spare bedroom has a bed with a new queen size mattress and dressing tables if required for use; and there is an LCD TV available for use in the room. 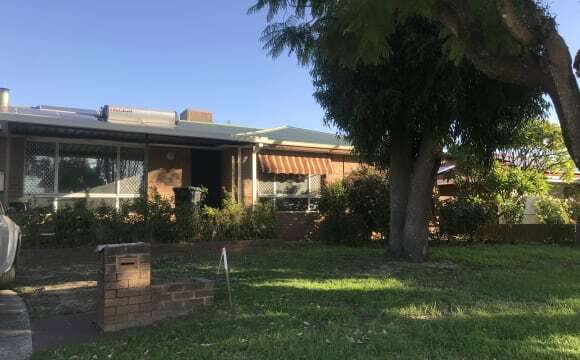 The house is three years old in a new private estate called "Riverhaven" in Martin (which is between Gosnells and Roleystone) opposite the Lumen Christi College. It is very quiet Estate and just a few minutes’ drive from the Seaforth and Gosnells train stations on the Armadale line. The person wanting to share should be responsible, clean, tidy, with good hygiene and be willing to do house cleaning. Please no smokers or people with alcohol or drug issues. 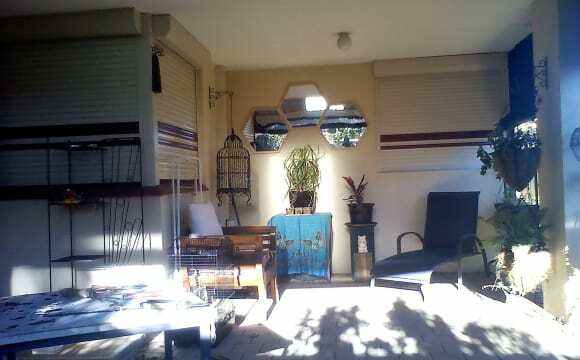 My front yard is a park so I have huge trees and heaps of birds - can be noisy in the morning with bird chirps! I have a flock of about 8 magpies who I feed most mornings. Very close to shops and public transport and pub and markets and restaurants but not TOO close. Quiet street, cul de sac off a cul de sac. 4x2 on 683 sq metre block. 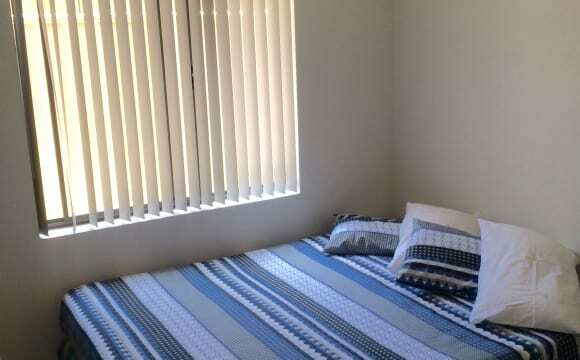 2 spare rooms at your disposal, bathroom is your own 90% of the time unless there are visitors. Bedroom is furnished if u wish. Full gym in the lounge. Close to public transport &amp; shops. Ceiling fans &amp; AC in each room. 2 x big dogs and an indoor cat also live here.